» View current Mississippi Farm Market Prices for CATTLE, GRAIN and CATFISH. » View historical Mississippi TIMBER prices. Citizens can review the proposed regulations and offer input on all proposed rules. To contact our office please call 1.800.551.1830 or 601.359.1100. 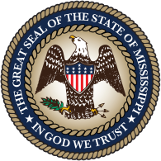 Transparency in Mississippi Government is a concerted effort to provide visibility, openness, and accessibility to state government financial activity for Mississippi taxpayers as mandated by the State Legislature. As part of our continuing effort to set new standards for transparency and accountability in state government, you can view a variety of financial data.